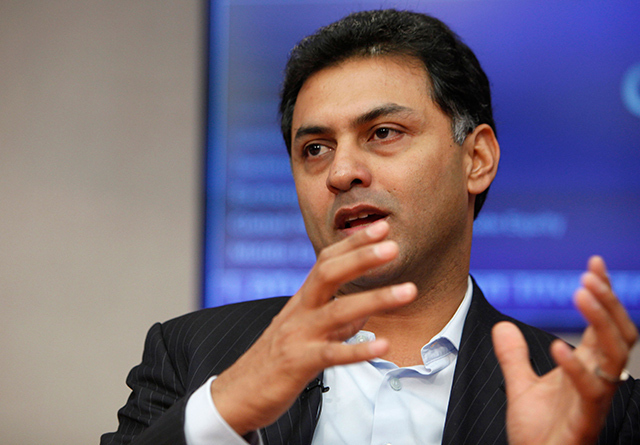 SoftBank Group Corp said on Thursday it has booked as much as 6.8 billion yen ($65 million) in expenses related to the resignation of India-born Nikesh Arora, who quit as president and chief operating officer in June. The amount takes the total that Arora has received or will receive from SoftBank to almost 31.43 billion yen, or $300 million at current exchange rates, since he joined the Japanese Internet and telecom conglomerate in September 2014. The resignation-related expenses add to the 16.56 billion yen that the company paid Arora as compensation for the year through March 2015 and a tad above 8 billion yen the following year. These include both salary and stocks, according to SoftBank’s annual report. Arora was tipped to take over as SoftBank’s chief executive but left after chairman and CEO Masayoshi Son decided to stay at the helm longer than earlier planned. His sudden departure came just a day after he got a clean chit on allegations raised by unknown investors represented by a New York law firm after a panel of its independent directors reviewed those complaints. Arora was one of the highest paid corporate executives in the world when he joined SoftBank on a pay package of $135 million. He also made a personal bet on SoftBank in August last year when he decided to invest 60 billion yen ($482 million then) to buy shares of the company. SoftBank said on Thursday also that it has purchased shares of associate companies from Arora for 10.74 billion yen. The shares were granted to Arora in December 2014, the company said. It added that resignation expense consists of defined payments and amounts linked to the company’s future share price. Expenses based on the share price will be settled in two installments, in June 2017 and March 2018. Payment amount will be determined based on the share price of June 2017 and March 2018, respectively. Arora, a former chief business officer at Google Inc., joined SoftBank as vice chairman of the group and CEO of its subsidiary SoftBank Internet & Media Inc. He was named president and COO a year ago. Son subsequently named him his likely successor. Arora led SoftBank’s venture investments in India, the US and other countries as the Japanese group backed more and more startups in search for the next Alibaba Group Holding Ltd, the Chinese e-commerce giant in which it is the largest shareholder. He also led SoftBank’s recent multi-billion dollar stake sales in Alibaba and Finnish game developer Supercell. In India, Arora led SoftBank’s investments in e-commerce marketplace Snapdeal, cab aggregator Ola, realty portal Housing.com and hotel booking site Oyo.